Your time to irresistibly glow. When hair is healthy, its natural shine radiates. Sparkles. 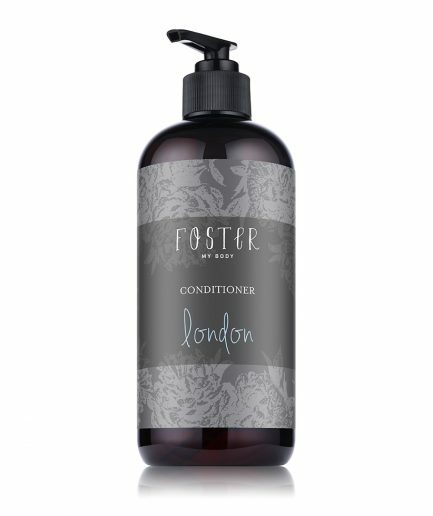 Foster My Body Conditioner richly supplies abundant hydration and fortification to very dry, coarse, or even damaged hair, restoring its natural luster and manageability without weighing down your hair. 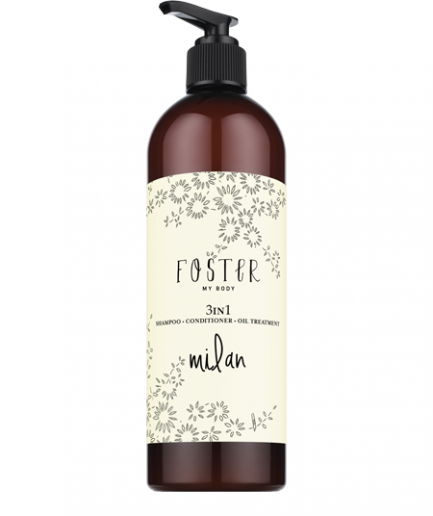 Formulated with pure organic extracts, this highly versatile blend even doubles as a cleansing conditioner, as it deeply cleanses, penetrates and moisturizes hair, leaving it stunningly smooth, noticeably shiny, and easy to style and control. Soothingly aromatic. Tenderly stimulating. Lavandula Angustifolia (Lavender) Flower Extract A natural extract from Lavandula angustifolia A natural analgesic effective in treating dermatitis and oily skin problems. Antiseptic and anti-inflammatory. Behentrimonium Chloride Natural plant extract of the oilseed turnip Restores and rebuilds damaged hair. Lecithin a fatty substance that occurs naturally in eggs, whole grains and legumes Moisturizes hair and aids in detangling.